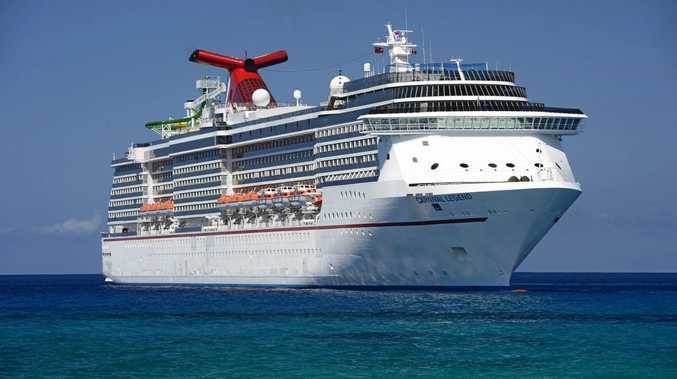 GLADSTONE will welcome of the biggest cruise ships to dock in the Port City with Monday's arrival of the Carnival Legend. 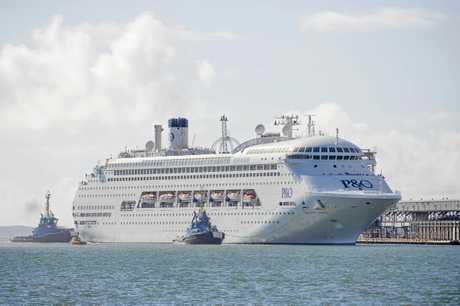 The 294m Carnival Legend will be docked in Gladstone from 8.30am until 4.30pm, bringing with it 2124 passengers and more than 930 crew. 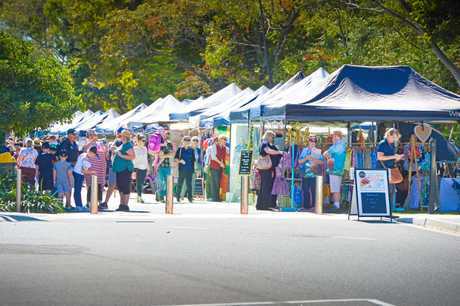 The Feast on East Markets will be held at the East Shores Precinct in conjunction with the arrival of the Carnival Legend. The event will showcase around 75 stalls from around the region, including arts, handicrafts and food. Live entertainment from local performers and free children's activities will be held throughout the day. Gladstone has welcomed 17 cruise ships since March 2016 and will host its last ship of the year on December 7 when the upmarket Holland America MS Noordam arrives. Next year will be a huge one for cruise ships in Gladstone with 15 scheduled to arrive, much to the delight of GAPDL chief executive officer Darryl Branthwaite. "Next year will be quite an amazing year and we'll have our day trip to the reef running around February," he said. "Once that's established I think you'll see the frequency of visits grow quite rapidly and once East Shores is completed toward the end of next year you'll see a lot more. "There's two or three cruise companies who are sitting there watching what's happening here and it's because we've got everything for a ship and passenger experience. "The Whitsundays get in excess of 80 a year so if we can get half of that we'd be doing really well." Mr Branthwaite said it was a combination of factors that has seen a dramatic spike in interest for Gladstone as a cruise destination. "It's hard to put your finger on one thing... Tourism and Events Queensland are lobbying for us and doing a lot of high-level talks in the background to the heads of the companies," he said. "Then we've got the Gladstone Ports Corporation who are proactively creating a destination for these ships. They can offer everything for the ship as far as the berth is concerned, refuelling capabilities, it's nice and easy for them to get in and out of here and the wharf is basically right next to the middle of town. "A lot of other places - the stops either side of us - are tendered off so the ship parks offshore and you're reliant on good weather whereas here it can be rough as guts out the front and they'll pull in and everyone walks off." 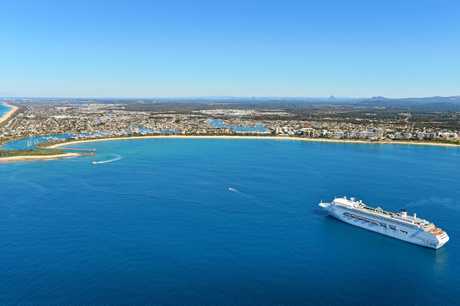 Mooloolaba is one of those places that doesn't have a dedicated cruise ship terminal. "They've had about eight or nine ships there and four or five of them haven't been able to get off because of the swell run coming through and these guys have got world-class experiences there with the aquarium (UnderWater World) and obviously Australia Zoo. "So little old Gladstone is punching above its weight... We're sitting in a pretty good position here and the Southern Great Barrier Reef is right on our doorstep and the Gladstone Region is in the middle of it all." Features: Water park, mini golf, basketball court, library, casino, video arcade and much more.